Kuwait , 7 November 2018: Abdulmohsen Abdulaziz Al Babtain Co., the authorized agent of Renault in the State of Kuwait is delighted to announce that customers can avail of the exciting offer that comes with the Renault Megane and Renault Koleos. The new service offer includes a ten year warranty and 50,000 KM free maintenance on its newest popular models this season. The Renault Megane 2019 is equipped with generous space for its occupants i.e. dimensions of 4.63m long and 1.81m wide, and a record wheelbase in its class of 2.71m. Owing to its dynamic styling and advanced features, the new Megane represents the next level10 yw in the compact saloon category. It comes with a 1.6-litre engine, 115hp designed to enhance driving enjoyment and reduce fuel consumption. 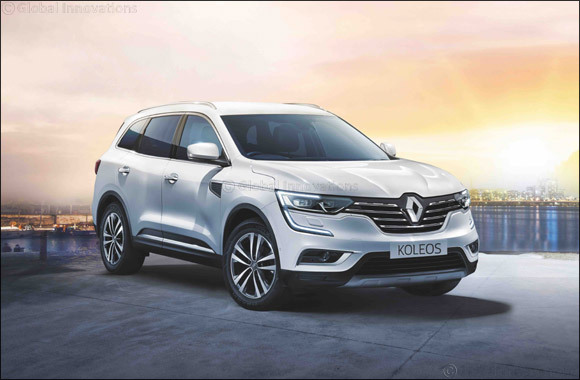 The Renault Koleos 2019 exterior holds a taste for adventure all that is expected of a D-segment SUV. It’s robust and muscular features amplifies the athletic exterior design with door protective moldings, large diameter two-tone alloy wheels, alloy roof rails, shark antenna, fender chrome lines and silver front skid. The four wheel drive technology, all-terrain ability, engine and transmission line-up has been tailored to meet the needs and expectations of the Kuwaiti market. The 2.5-litre petrol engine is also an atmospheric, four-cylinder, power is 170hp (126kW) at 6,000rpm, with peak torque of 233Nm at 4,000rpm. Renault Al Babtain urges its Renault fans to avail of the benefits that accompany the new models during the limited time offer.